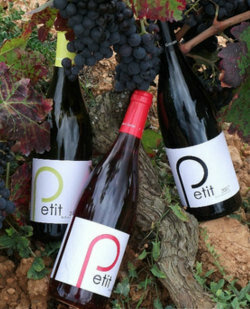 It is a few years since I last visited the small Catalan wine region of Montsant in the northeast of Spain. A neighbour to the much better known Priorat, similar grape varieties are grown, the most important for red wines being Grenache and Carignan, grown on the slate and granite soils. Rosat (rosé), white and sweet wines are also made. I was contacted recently by Celler Ronadelles, who’d been given my name by a mutual friend who makes wines in southern France, and export manager Alex Wilson, a Scot now living in Montsant sent over half a dozen wines for me to try. Ronadelles is a small, family owned and run winery that was founded in 2002 (the same year Montsant was granted its own DO status) and which produces a few ranges of wines under the Cap De Ruc, Giral and Petit de Joanne Cox labels. The winery team tend the estate’s vines with respect to the lunar calendar, and all picking is by hand. Celler Ronadelles’ wines are not currently in the UK. Visit their web site at www.ronadelles.com. With 13.5% alcohol, this 50/50 blend of white Grenache and Macabeu is fermented in 300-litre French oak barrels and aged on its lees for six months. It has a pale gold colour and quite a mealy, rich nose of melon and melon skins, with some spices and some salty notes. On the palate this is dry and has a salty-savoury character. There’s lemon and underripe apple giving this cut and acidity. It perhaps lacks a little fruit weight and fat on the mid-palate, but a hint of ripeness plays against the acid structure in a reasonably long, food-friendly style. 86/100. Composed of 90% Carignan with 5% each of Shiraz and Grenache, this 13.5% ABV rosé is given six months of lees-ageing. It has quite a deep, vibrant crimson/cherry colour and a nose showing a light raspberry fruitiness though it is not terribly distinct. On the palate the sweetness of the fruit comes through to give a little strawberry and raspberry jam note, though the keen acidity pushes through, giving this quite a fresh, if slightly short finish showing a touch of heat. 84-85/100. A cuvée of 100% Grenache, this has 14% alcohol and spends four months on older, 400-litre French oak barrels. A youthful and dense crimson colour, this has an attractive nose that is bright with berry fruits, some spice and blackcurrant jam fruitiness. On the palate there’s plenty of fruit sweetness and a fairly smooth texture, a hint of chocolate even. The oak is barely discernible, the tannins quite fine but leaving the mouth bone dry, with a tart edge from keen acidity and the alcohol. 85-86/100. A blend of 60% Grenache and 40% Carignan that spends twelve months in larger French oak barrels. The colour is deep, but with a mellow edge. Much darker, more gamy nuances here, with some leather and a much more robust character. On the palate the fruit has a sweetness and concentration, a sweet focus of raspberry and cherry, but quite decisive acidity comes through, giving this a very dry finish, some spice and a little oaky roundness helping offset a slightly angular acid and tannin. Layered and quite complex, another big wine with 14% alcohol, but bags of character. 87-88/100. A 50/50 blend of Grenache and Carignan with 14% ABV, this is a special selection of grapes in the vineyard, aged for 10 months in French and American oak barrels of 300- and 400-litres. This pours a deep crimson/purple colour, with a big spicy, creamy black fruit nose. There’s tobacco and a touch of vanilla, but cherry and plum-pie fruit is dominant. On the palate the fruit is creamily sweet and opulent, though big, grippy tannins sweep in almost immediately to dry this and add roughening spice and texture. Acidity is quite high again, and the double whammy of tannin and acid gives this a drying and slightly aggressive finish that would surely marry with a few more years in bottle, or perhaps now with a juicy steak or grilled lamb chops. 88/100. The blend and winemaking is the same, though this vintage has 14.5% ABV. Deep, dark colour, with lovely scents of bramble and black berry fruit, wreathed with smokiness and with plush vanilla and spice underpinning. On the palate this is a big, spicy, vanilla and chocolate laden wine that is clearly very modern and somewhat ‘international’ in style, but the depth and ripeness of fruit and the silky texture of the more polished tannins really works well to round and smooth the edges. The tannins and acidity still dry the finish slightly, and stop this from flowing freely into the finish, but a delicious wine. 89/100.